1/ Buoyancy aids or PFDs (Personal Flotation Device) should be worn by all persons on the water. 2/ Spraydecks should not be used until you are comfortable with them. Neoprene decks need practice at removing. 3/ Novice paddlers (i.e. not passed 1 star) must stay by the concrete slipway unless accompanied by a competent paddler who can perform a deep water rescue efficiently. 4/ Paddlers must be in groups of at least three and all must be able to perform deep water rescues. This does not apply to 4 Star standard paddlers or ranked competitive paddlers using the facilities to train but these will be proficient in self-rescue. 5/ If you use club equipment please put it away tidily after use. Please sponge out boats and help by putting boats neatly back on the racks (in 3 or 4 on their sides). Bouyancy aids MUST be zipped up and hung back on the hangers. Please try and help keep the club premises tidy and safe for all users, try to keep the changing room floor dry. 6/ Please do not go onto floating pontoons, jump in or perform rescues near moored boats and ONLY use the main channel to access the rest of the dock. 7/ Be aware of other water craft and give them extra room especially at bridges and moorings. Keep to the right when passing other craft! “WE WILL ALWAYS KEEP CLEAR OF OTHER WATER USERS”. 2/ To be on time for training sessions and participating events or inform your coach if you know you are going to be late. 3/ Co-operate with and respect all requests and decisions made by the coaches, helpers, officials and administrators. 4/ Control your temper and avoid behaviour which may inconvenience or upset others. 5/ Be considerate and respectful to other paddlers and water users. Treat other paddlers as you would want to be treated yourself. 6/ Wear suitable clothing and kit for paddling as agreed with your coach. 7/ Take care of all property belonging to the club or other club members. 8 Replace all paddles in rack after use, eEmpty boats of water and put away, zip buoyancy aids and hang up and hang spray-decks. 9/ If you need help with boats ASK. Don't leave them on the pontoon. 10/ Be responsible for caring for your own clothing and equipment. 11/ Do not leave sessions without the permission of the coach or leader. 12/ Junior members are not allowed to smoke, consume alcohol or drugs of any kind whilst on the club premises or whilst representing the club at any events. 13/ Never paddle alone. No matter how well you think you can paddle. Abide by the club rule of paddling in groups of 3 or more for safety reasons. 14/ Respect all wildlife i.e. swans, ducks and fish etc and do not disturb it in any way, shape or form. Follow the canoeist's code. If you have a problem that you feel conflicts with the rules, tell an appropriate adult i.e. a coach or helper and they will try and resolve it for you. Junior members are encouraged to take an active interest in all disciplines of paddling that the club offers. However, no-one will be made to participate in any activity they are not comfortable with. Liverpool Canoe Club is fully committed to safeguarding the well being of its members. All members should show respect and understanding for the rights, safety and welfare of others, and conduct themselves in away that reflects the principles of the Club. Club coaches follow the British Canoeing Code of Ethics. All Club coaches, helpers and officials working with young people should read and adhere to the British Canoeing Child Protection and Harassment Policy. The Club will follow the guidance of the policy in the event of any concerns or allegations. The Club will ensure that anyone working with young people undertake a screening procedure. All Club members are made aware of the Club Codes of Conduct. The Club will obtain written Medical details of young paddlers which will be made known to coaches where deemed appropriate and/or necessary. 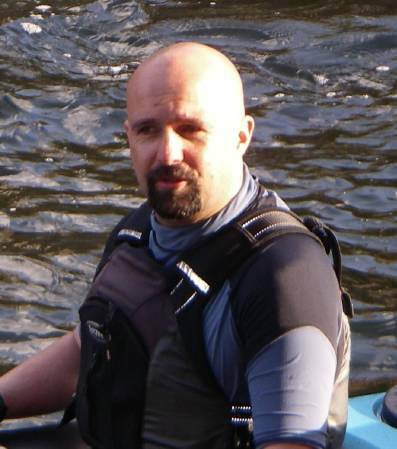 The training supervisor use British Canoeing qualified/updated coaches. Unqualified coaches can only work alongside a qualified coach. The club will encourage and support helpers to gain qualifications and assist coaches to stay updated. The Club will identify a person whose role it is to deal with any issues concerning Child Protection and Harassment and notify this person to all members. Anyone with concerns with respect to Child Abuse or Harassment should contact that person. If that person is unavailable they can contact the Club Chairman or the British Canoeing Child Protection Harassment Officer. The Club will adopt and regularly review its Operating and Safety Policies. If you have any queries or concerns about child protection within the club please contact our Child Protection Officer(s). Liverpool Canoe Club has two Safeguarding Officer who have both completed the BCU Time To Listen course specifically for Safeguarding officers. If you are unsure please visit the BCU website or speak to your Paddlesports Development Officer.